This is true for Trump about everything. TRUMP closes by saying this about Time Person of the Year: "I can't imagine anybody else other than Trump. Can you imagine anybody else other than Trump? 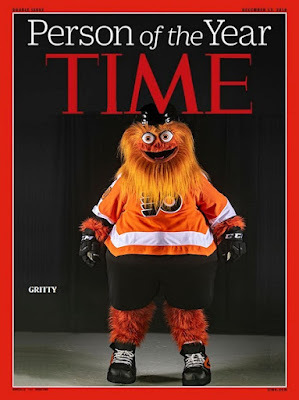 and Gritty did his own.